SAFE Framework « What Happened to the Portcullis? Inefficiency of road freight transport is one of the primary factors that hamper the economy of sub-Saharan Africa. Long delays experienced at border posts are the single biggest contributor towards the slow average movement of freight. Cross-border operations are complicated by the conflicting security objectives of customs and border authorities versus efficiency objectives of transport operators. It furthermore suffers from illegal practices involving truck drivers and border officials. In theory the efficiency of cross-border operations can be improved based on the availability of more accurate and complete information – the latter will be possible if different stakeholders can exchange data between currently isolated systems. An information layer – in which various trade documentation (purchase order, invoice), cargo and conveyance information (packing list, manifest), customs and government regulatory data (declaration, permits) are exchanged between various supply chain entities and the customs authority. These primarily attest to the legal ownership, contract of carriage, reporting and compliance with customs and other regulatory authority formalities (export and import), and delivery at destination. A logistics layer – for the collection, consolidation, sealing and conveyance of physical cargo from point of despatch via at least two customs control points (export and import), to deconsolidation and delivery at point of destination. A financial layer – which refers to the monetary exchange flow from buyer (importer) to seller (exporter) according to the terms and conditions of the sale (INCOTERMS). Hmm… no, this does not include ‘bribe’ money. All three layers are inter-linked and prone to risk at any point of a given transaction. There is also no silver bullet solution to secure supply chains. Moreover, it is a fallacy that Customs and Border Agencies will ever conquer cross-border crime – simply because there are too many angles to monitor. Furthermore, in order to set up cross—border information exchange and joint enforcement operations it is both legally and politically time-consuming. Criminal elements are not hampered by these ‘institutions’, they simply spot the gaps and forge ahead. Protecting the physical goods from tampering, theft, and damage. Providing appropriate information to government authorities in a timely and accurate manner for security screening purposes. Protecting the information related to the goods from tampering and unauthorized access. This responsibility applies equally to times before, during and after having custody of the goods. Security seals are an integral part of the chain of custody. The proper grade and application of the security seal is addressed below. Security seals should be inspected by the receiving party at each change of custody for a cargo-laden container. Inspecting a seal requires visual check for signs of tampering, comparison of the seal’s identification number with the cargo documentation, and noting the inspection in the appropriate documentation. More recently the emergence of certain e-seals and container security devices (CSDs) contribute even further to minimizing the amount of ‘physical’ verification required, as they are able to electronically notify the owner of the goods or government authority in the event of an incidence of tampering. A group of South African specialist engineers have been working closely with transport authorities, logistics specialists, defense experts and customs authorities across the globe. Their e-seal is patented in no less than 16 high volume countries. It is produced in Singapore, China and Indonesia depending on politics, free-trade agreements and demand. May move some to Brazil and US in time. Proof of concept (POC) initiatives are currently underway in Brazil for rail cargo, US Marine Corps for their p-RFID program and other Department of Defense divisions in the USA, and will shortly be included in one of the GSA agreements making it available to any government department in the US. Further adrift, the e-seal is also currently enjoying interest in Guatemala, Mexico, Canada, Panama, Jordan, Italy, Spain, and Malaysia. Here, in South Africa, a POC was conducted at the 1st autogate at Durban Container Terminal, funded by the North West University, and overseen with successfully achieved objectives by Transnet Port Terminals. For technical details of the RFID seal, click here! Namibia Customs Business Forum Launch – 22nd May 2013 in Windhoek, Namibia. 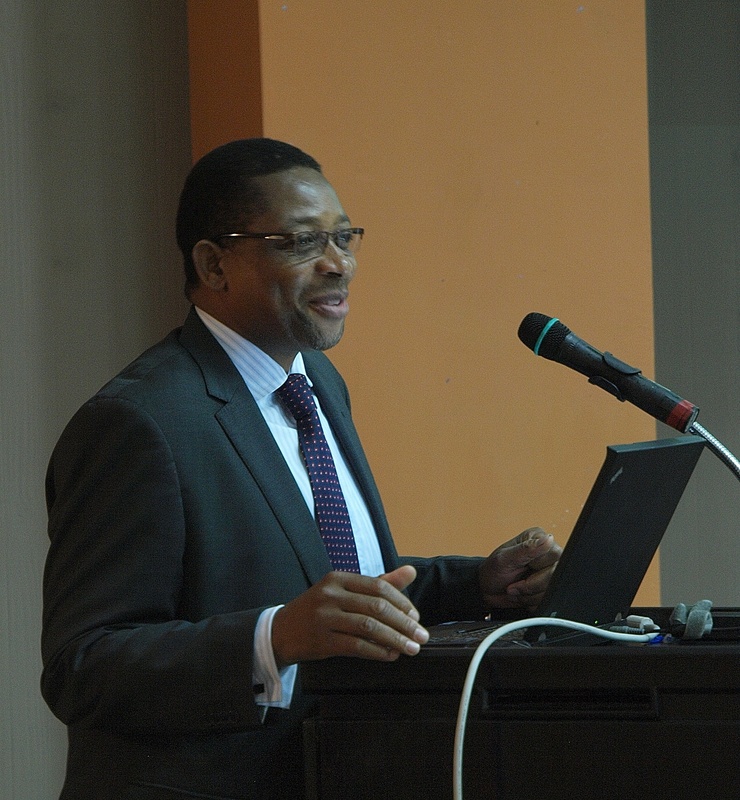 Zambia Customs to Business Forum (ZCBF) launched on April 26th, 2013. The SADC Sub-Committee on Customs Cooperation (SCCC) emphasizes great importance in strengthening cooperation between Customs and the private sector in order to give Customs Administrations in the SADC region an opportunity to offer a more efficient and effective customs service to their clients. The overall purpose of Customs to business partnerships is to ensure a partnership and dialogue structure of key stakeholders in the trading chain that contributes to trade facilitation, improvements in customs operations and higher compliance by the trading community. The SCCC during its 20th meeting made the recommendation to establish National Customs Business Forums (NCBF) in all SADC Member States. Recently National Customs Business forums were established and launched in Malawi (September 2012), Zambia (April 2013) and Namibia (May 2013). The NCBFs are meant to facilitate a stronger partnership between Customs and business at national level, promoting a regular and results oriented dialogue, and taking action on existing challenges in the supply chain of goods. The Zambia Customs to Business Forum (ZCBF) was launched on April 26th, 2013 by the Deputy Minister of Commerce Trade & Industry in the presence of Commissioner General of the Zambia Revenue Authority (ZRA), Commissioner Customs (ZRA) and several public sector and business representative organizations which are important players in the Trading chain. In his keynote address, the Minister said “As a minister responsible for trade, i am profoundly delighted at seeing such initiatives being brought to the fore as this will help in improving the ease of doing business in Zambia. Furthermore, it is important to state that such initiatives are in line with best practices as stipulated under both multilateral organisations namely; the World customs organisation and the World trade organisation”. The Namibia Customs Business Forum was launched by the Finance Minister Saara Kuugongelwa-Amadhila on the 22nd May 2013 in Windhoek, Namibia. The forum is envisaged to become “a bi-annual dialogue forum that brings together public and private sector [actors] in the trading chain to continually assess and adopt measures that promote effective trade facilitation, as well as enhance customs operations and higher compliance,” a statement from the Finance Ministry says. In May 2013, the SCCC endorsed a Private Sector involvement strategy which additionally recommends the establishment of a Regional Customs Business Forum (between Customs and its stakeholders) in a bid to facilitate the implementation of the SADC Protocol on Trade. Source: SADC Secretariat. 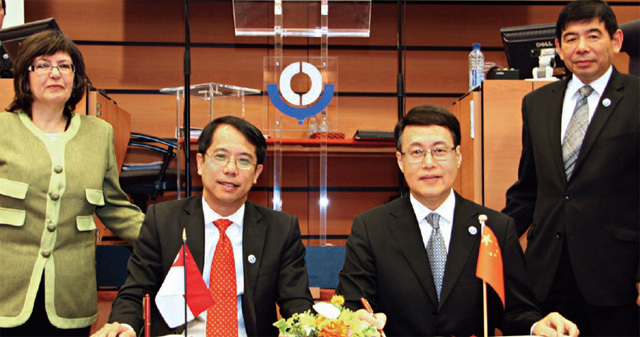 Director-General of Singapore Customs Fong Yong Kian and Vice Minister of the General Administration of China Customs Sun Yibiao (both seated), signed the China-Singapore MRA at the WCO Council Sessions in June 2012. The signing was witnessed by Chairperson of the WCO Council and Chairman of the Revenue Commissioners of Ireland, Josephine Feehily and WCO Secretary-General Kunio Mikuriya. General Administration of Customs of Singapore has announced that the Mutual Recognition Arrangement (MRA), signed with Customs of the People’s Republic of China went into effect on March 15, 2013. Following the effective date, both Singapore’s STP-Plus companies and China’s Class AA accredited companies will be recognized as Authorized Economic Operators (AEOs) of the respective countries. This recognition as AEOs allows Customs from both countries to grant clearance facilitation for accredited AEOs such as lower examination rates, priority inspections, and priority handling of customs clearance documents at each country’s port. Included in the announcement were specific instructions for how importers in both Singapore and China should fill out customs forms when receiving exported goods from one of their respective AEOs. For goods exported directly to Singapore from a Chinese Class AA company, the Chinese exporter would need to provide the Singapore importer with the 10-digit Customs Registration Code to place on their import declarations to Singapore along with inputting the “AEO code” into the portal for mutual recognition purposes and benefits of AEO. 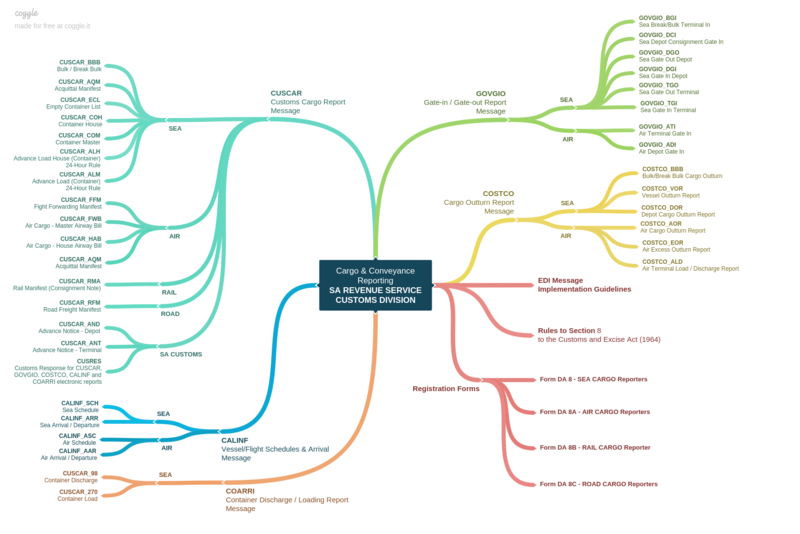 The AEO code is comprised of “AEO”, “CN” and the 10-digit Customs Registration Code. For goods exported to China from a Singapore STP-Plus company, the Chinese importer must fill in the “AEO code” of the Singapore’s exporter in the “remark column” in their import declarations to receive mutual recognition benefits. The format for the AEO code is as follows: “AEO (written in English half-width characters and capital letters)” plus “<” plus “SG” plus “12-digit AEO code” plus “>”. For instance, if the AEO code of one Singapore STP-Plus company is AEOSG123456789012, then the remark column filled in by the Chinese importer would read as “AEO”. January, 2013 saw the United States and the European Union implemented the mutual recognition arrangement for their respective supply chain security programmes. The US Customs and Border Protection (CBP) administers the Customs-Trade Partnership Against Terrorism (C-TPAT), which is now recognised as equivalent to the European Union’s Authorised Economic Operator (AEO) programme. Should they elect to allow CBP to share certain information with the European Union, US importers authorised under C-TPAT will be considered secure and their exports will receive a lower-risk score by the customs administrations of EU member states. In practice, certification translates into time and money savings for parties dealing with trusted operators. In that sense, certified operators are successfully marketing their status as a distinguishing competitive advantage. Both programmes are voluntary, security-based programmes aimed at improving supply chain security. As programme members, importers receive lower risk-assessment scores in customs administrations’ computer targeting software. Therefore, members are subject to fewer security-related inspections and controls. The mutual recognition arrangement between the United States and the European Union allows for members of one programme to receive reciprocal benefits when exporting to the other jurisdiction. However, not all C-TPAT members qualify for full AEO benefits. Only Tiers 2 and 3 C-TPAT importers (considered as more secure) may receive a lower risk-assessment score, and consequently undergo fewer inspections when exporting to an EU member state. In addition, in order to receive these benefits, C-TPAT members must expressly elect for the United States to share certain information with the European Union and certify that their exports meet all applicable requirements. The mutual recognition arrangement may also exempt members’ facilities from undergoing validation site visits by both administrations when initially being certified or during revalidation visits. This benefit is available for every tier of C-TPAT membership. The mutual recognition arrangement applies only to C-TPAT importers which also act as exporters. A C-TPAT manufacturer will benefit from the arrangement only if it also acts as the US exporter. For example, if a US company owns a C-TPAT-certified manufacturer in Mexico that directly ships merchandise to the European Union, those shipments will not benefit from the arrangement. CBP’s targeting system recognises AEO-certified entities by their manufacturer identification number. Certified manufacturers will receive benefits under the arrangement regardless of whether they are the EU exporter. A certified exporter which is not a manufacturer may obtain a manufacturer identification number to gain from the benefits of mutual recognition. As such, AEO-certified manufacturers and exporters may benefit under the arrangement, but only US exporters are eligible for benefits. Although the United States and the European Union have recently announced the possibility of a US-EU free trade agreement, this arrangement is a trade facilitation measure that companies may elect to participate in immediately, regardless of the results of potential free trade agreement negotiations. On 24 January 2013, the Secretary General of the WCO, Kunio Mikuriya, participated in a press conference dedicated to the launch of the World Economic Forum’s (WEF) Building Resilience in Supply Chains 2013 report. Sander van ‘t Noordende, Accenture’s Group Chief Executive for Management Consulting, introduced the report and its major findings, such as the top supply chain risks that include extreme weather, natural disasters, physical and cyber security threats, along with economic and political volatility. He highlighted that the report argued the need for a coherent and consistent framework to deal with supply chain resilience, partnerships between government, Customs and businesses, and the sharing information flows for risk assessment purposes. Secretary General Mikuriya pointed out that supply chain resilience is very important for Customs, whose functions include ensuring that legitimate trade continues even in cases of disruption, an issue which has been addressed by a set of standards and instruments developed by the WCO, in particular, the 2011 WCO Resolution on the Role of Customs in Natural Disaster Relief. He also stressed the importance of public-private partnerships in order to share security responsibility with trusted traders through the implementation of the WCO SAFE Framework of Standards to Secure and Facilitate Global Trade and its integral Authorized Economic Operator (AEO) programme. Cooperation at intergovernmental level with longstanding partners of the WCO, such as the International Maritime Organization (IMO), the International Civil Aviation Organization (ICAO), the Universal Postal Union (UPU), the International Air Transport Association (IATA), the International Road Transport Union (IRU) and the World Shipping Council (WSC), was also emphasized by the Secretary General as being key to harmonizing standards and creating synergies among different stakeholders. In addition, he pointed out that transparency and trust among stakeholders in supply chains was of the utmost importance, as this led to a global cohesive approach and even stronger partnerships.